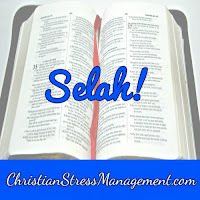 Christian Stress Management: Abraham, What Do You Choose? 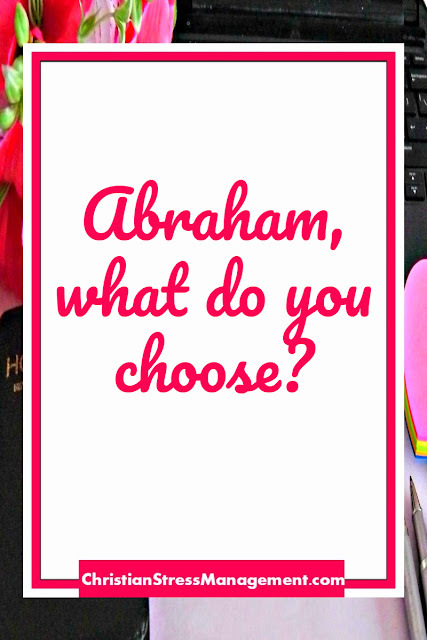 Abraham, What Do You Choose? The Bible tells us that Abraham Did not consider his own body already dead since he was around 100 years old or the deadness of Sarah's womb. Therefore even if you are as good as dead the way Abraham's body was as good as dead in terms of procreation, do not think about your limitations. Make it a point not to meditate about your shortcomings regardless of whether they are physical limitations like diseases you are suffering from or financial limitations like the lack of money or social limitations or any other limitations you may be suffering from. Therefore even if the people who are supposed to help you are barren (poor and unproductive) or impotent (weak and powerless), do not think about their limitations. Make it a point not to meditate about their shortcomings regardless of whether they are intellectual limitations like not being educated or physical limitations like being "too old" or financial limitations like not having a job or social limitations like being "different" or any other limitations they may have. Therefore choose to believe what God says in His Word. So, if the Bible verses you are believing for your situation say, "I have made you a father of many nations" (Romans 4:17) decide to believe that you are already a father or mother of many nations. Therefore chose to believe that God can do what He says He can do. So, if the Bible verses you are believing for your situation say, "I have made you a father of many nations" (Romans 4:17) decide tot believe that God has already made you a father or mother of many nations. Abraham chose to hope against all hope since the Bible tells us that Contrary to hope, he believed in hope. (Romans 4:18) This is because his circumstances did not offer him anything to look forward to since his body was as good as dead when it came to procreation and Sarah had been barren even when she was young. Therefore even if your current limitations do not give you anything to look forward to, chose to hope in God even if your situation is hopeless when viewed with human eyes. So, combine your faith in God and faith in His Word and faith in His ability to do what He says with placing your hope in God that He can change your situation for the better. Therefore, choose to strengthen your faith. 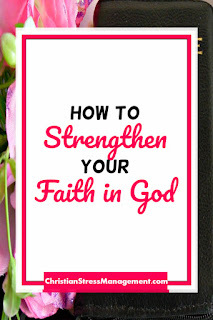 To do learn how to do this read How to Strengthen your Faith. Therefore chose to praise God as you wait to receive what He has promised to give you. 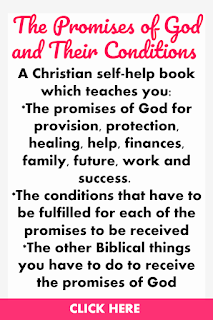 To learn the Promises of God that you can believe to receive God's protection, provision, healing and help as well as to receive solutions for problems in your finances, family and work, read The Promises of God and Their Conditions. Praise God, have faith and hope, forget about limitations. 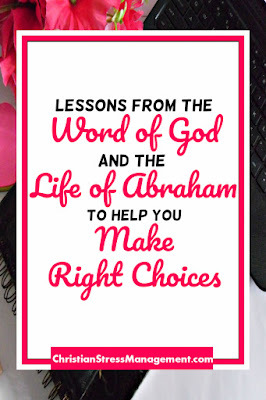 Thank you for spelling out the ways to be more like Abraham. You are welcome and thank God for His Word. "Abraham did not choose to think about his limitations"
Yes, he made the right choice because thinking about our limitations can dampen our faith while thinking about God's power can strengthen it and help us receive our miracles. There's certainly a good reason why this guy showed up in the Hebrews 11 hall of faith! Thanks for this overview! Yes, Abraham can also be considered to be an elder in the Hebrews Hall of Faith in addition to being the father of many nations.